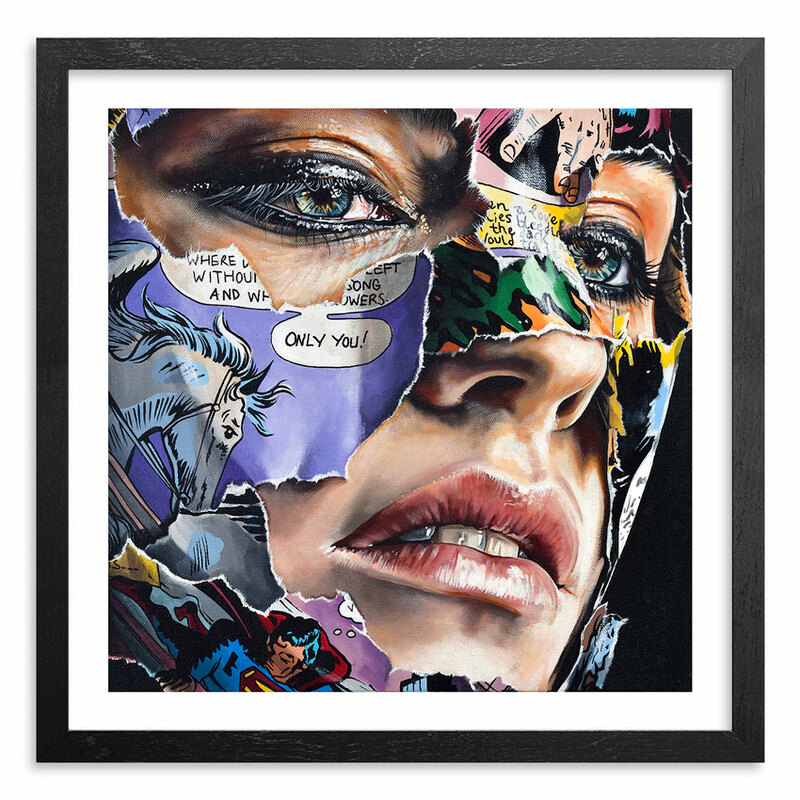 This RUN is signed, numbered and comes with a Certificate of Authenticity from Sandra Chevrier and 1xRUN. ABOUT THE ARTIST: Currently living and working in Montreal, Canada, Sandra Chevrier - gaze collector, idea chaser and full time single mom - produces work taking her traveling over a broad range of fluctuating emotional enigmas and concepts that have set the standard of our modern communication, exposing the limitations within our world, our self-imposed expectations and the cages we have allowed to bar us from fullness of life’s experience. 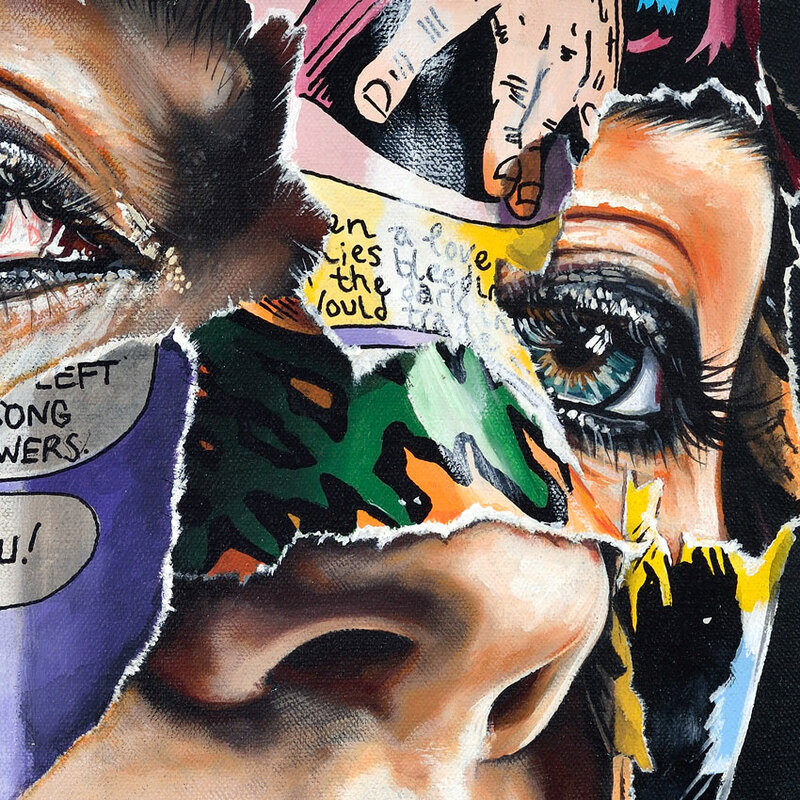 With work demanding to be dissected beyond it's surface value, Chevrier's portraits are quite literally torn between the fantastical heroics and iconography of comic books and the harsher underlying tragedy of oppressed female identity and the exposed superficial illusion therein. 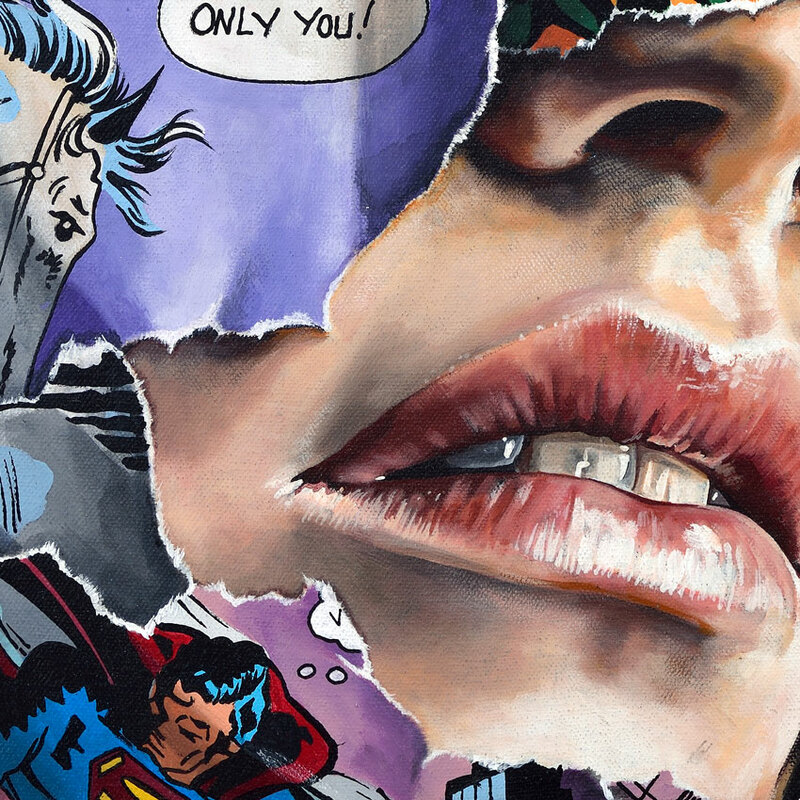 Exhibiting a male-dominated world within her 'Cages', Chevrier's subjects denounce the role given to the female counterpart therein, refusing to play the part of seducer or victim. In the greater body of Chevrier's work, the images used within the 'cages' range from scenes of conflict, triumph and defeat. The artist is choosing to highlight the fragility of the superhero, their own struggles and weaknesses, exposing the humanity within the superhuman. Despite all the playfulness of the thing itself and all the “CRASH BAM POW,” superheroes are also fragile. We are merely human; men and women and we are entitled to the flaws and errors. 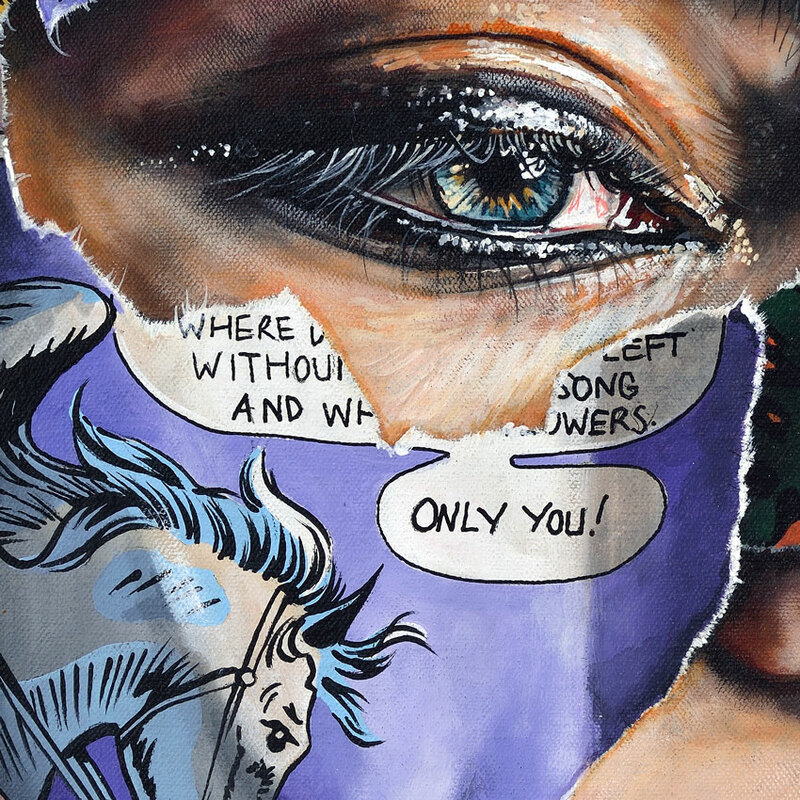 Find more by Sandra Chevrier at sandrachevrier.com. Follow Sandra on Instagram @sandrachevrier + Facebook + Blogspot.